I popped into Superdrug on my way to work a couple of days ago to pick up some eye make-up remover. Unfortunately, they were out of stock of the one I wanted, but all was not lost; there was a 3-for-2 offer on Barry M Nail Paints, so I had a little browse and picked a few up. As you do. Then I went to Wilko's where I found the eye make-up remover (Garnier's Simply Essentials Soothing Eye Make-Up Remover, which I've reviewed previously here), along with the shiny new Essence stand, also with a 3-for-2 offer on. Three guesses what happened next!? The Barry M polishes I picked up in Superdrug were 'Mediterranean' (£3.99) from the Aquarium collection, 'Promenade' (£2.99), a Limited Edition to Superdrug shade which is a lovely hot-pink with shimmer, 'Elderberry' (£3.99) from the Gelly Hi-Shine range, and the Matte Top Coat (£3.99). In case you're wondering why that's only four polishes when I clearly mentioned a 3-for-2 offer, I also picked up a couple of shades for my 500 Follower Giveaway so don't forget to enter if you like the sound of those! In Wilko's, I restrained myself to just three items; I went for a Colour & Go polish in 'L.O.L.' (£1.60), Blush Up! Powder Blush in 'Heat Wave' (£3.50), and a 3D Eyeshadow in 'Irresistible Vanilla Latte' (£2.80). I've been wanting to try Essence cosmetics for as long as I've been blogging after seeing them on Irish and European blogs, so I'm very excited that they're finally available in the UK! Expect a post or two very soon with some more detail on these products. Have you picked up any beauty bargains lately? Have you tried Essence's products? Do you like the look of my choices? Great products!!! 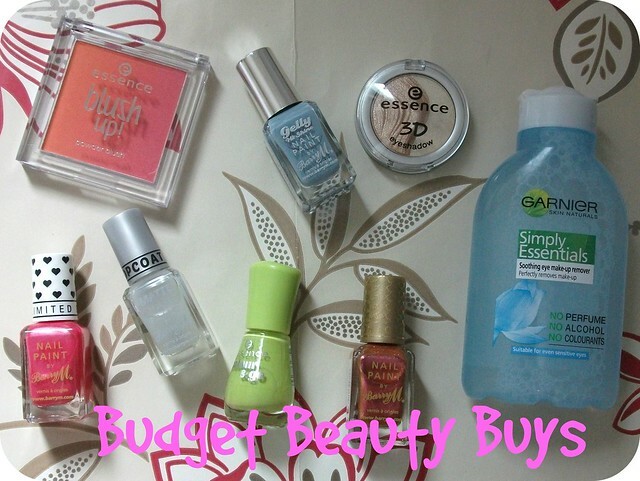 :) Essence is one of my fav budget brands! Great haul, the nail polishes are gorg, esp the green one, have to look out for it next time I went to the drugstore. Lovely blog here btw! Would you like to follow each other on GFC? Please let me know on my blog so I can follow back. Thank you. Nice haul! The shade of the Essence nail polish look really pretty! 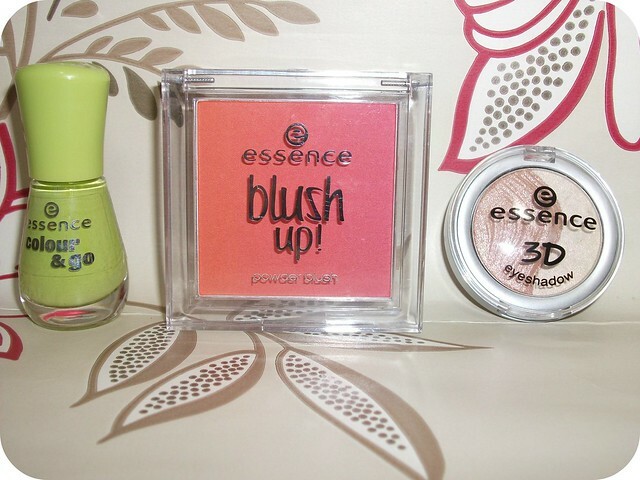 Oh I have blush up :) loving the Essence makeup range! The new Barry M polishes look lovely, I have my eye on some of the matte ones too.